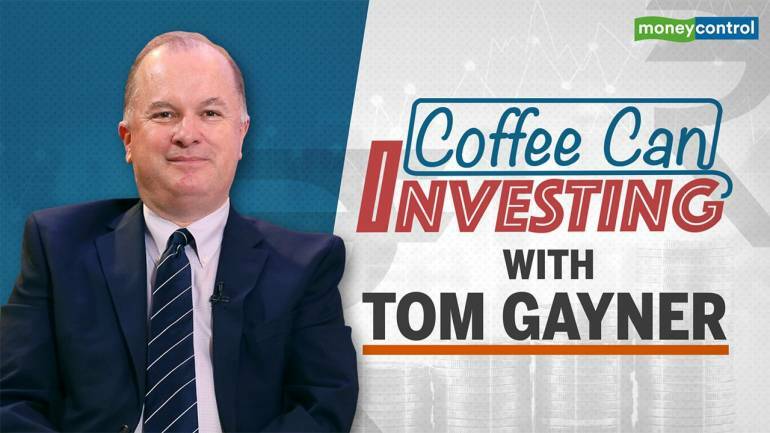 In this episode of Coffee Can Investing, Saurabh Mukherjea talks to Tom Gayner, Executive Vice President and Chief Investment Officer Of Markel Corp and President of Markel Gayner Asset Management to learn about how the American national went on to become a successful investor. Gayner started his career young and at the age of 14 invested $700 with the IRS as it was tax free. Raised in New Jersey on a 100 acre farm, the 57-year-old was at the CFA Institute in New Delhi where Mukherjea caught up with him. Here’s Gayner, tracing his journey and detailing his learnings that made him successful. S: I thought we should start at the beginning of your career. You were brought up on a farm in New Jersey, your father was an accountant, but he ran a liquor store. All of that from an Indian perspective is very exotic. Most of us have not even seen a farm, let alone being raised on one. So, if you could just take us through those early days and how they influenced the career that you went on to forge? T: I grew up on a hundred acre farm. Sometimes people think of New Jersey as a place that does not have much by way of farms, but actually there are large parts of New Jersey that are quite raw. Southern New Jersey, where I was from, is a place like that. People think of New Jersey as a place that is a major metropolitan area, very populated and somewhat crowded. I think those people have never been to India. So, we have absolutely nothing in terms of a metropolitan area. My upbringing perhaps might be extraordinarily different from you, in the sense that my sister was 18 years older and already off to college by the time I was born. My brother was 14 years elder to me. By the time I came along, I was somewhat of an only child. I had hundred acres to myself. In an upbringing up like that, you are left to your own devices and your imagination to find ways to amuse yourself and come up with things. So, running around and reading books were very valuable. You mentioned my father, who was a key figure in my life. He did indeed start out of as an accountant. He worked in Philadelphia at the beginning of his career, which is a major city, but later on he decided to return back to his hometown in a rural area to begin a different phase of his life. By the time I came around, my father was established in business and perhaps had a bit more time for me. I loved and admired him very much. He had his office at home and undertook tax and accounting work. When I came home from school every day, he was there talking to people. I would just go and sit in his office, do my homework and listen to him talk to people, listen to him talk on the phone, and see people come and go. I saw him read the Wall Street Journal every day. If my dad read the Wall Street Journal every day, then I was going to read the Wall Street Journal every day. In addition to the normal father-son things one would do in America, we would talk about sports or business. In addition to talking about business, I got to observe it first-hand by observing him in his daily activities. S: So, I suppose that's why perhaps, it was a reflex decision almost to become an accountant after you graduated from the University of Virginia. You have seen your dad do it, you have been discussing accounts and business for all those years? T: Yes, absolutely. As a child, that was my understanding of what accountants did. So, he had his office right there, he was in charge of his day, he had clients, he had the liquor store business, he did small real estate deals, different deals around the county, and he met with people. So, I thought that is what accountants did. I went to the University of Virginia, studied accounting and went to work for PricewaterhouseCoopers as the lowest of the low staff accountants. Of course, they would send you out and about to count things and do inventories, and be in small dark rooms adding up numbers. And I thought to myself I made a mistake. My dad gets to talk to people, he was an extrovert and put deals together. So, I said I need to do something differently than this and that was part of the path to shifting over to investing. But my daughter who is with us here went to the University of Virginia and studied in the business school. Her initial thought was to study accounting because she had heard me talking very positively about accounting; that if you want to be a good business person and you want to be a good investor an understanding of accounting is very important, because it is the language of business. You need to understand the language of business. So she started off in accounting and was taking the first accounting course when I got a phone call from her and she said, daddy, would you be disappointed in me if I switch my concentration from accounting to finance? And I said, no. I completely support that decision. She figured it out quicker than I did. S: So, from accounting via stock broking in 1990 you entered Markel and you haven't left ever since. In a world where people change jobs as frequently as they change cars this sort of loyalty in the investment management profession even in the American context is very rare to see. What's been the driver of this unwavering faith and loyalty to one institution over a 28-year period? T: In some of the meetings that Saurabh was kind enough to arrange with different entrepreneurs, different leaders here in India and the business communities, the notion of loyalty was discussed in more than one case. While that is hard, that is a qualitative statement rather than a quantitative one. The effects of what it means to be a loyal person actually is that it helps people to be loyal to you. There is reciprocity in loyalty. S: It is a give and take. T: So frankly you invest yourself in not Markel but the people of Markel. Your colleagues your friends, that win-win structure and if you invest yourself with good intentions, in good spirits odds are that's going to come back to you in a compounded return sort of fashion. So that dynamic has happened which has been fantastic. The second level of that is as I mentioned Markel when I joined, I sort of have the same job today that I had when I started looking after the money. That's my job. Look after the money. Well there’s a lot more money to look after today than there was back then. Yes, it's the same job and same title but the world has changed. The new things you see, the new businesses that we have entered into, all of those have been new, vibrant and creative. So, yes, it's the same company and it's the same job, but it has been a different experience sort of every year as you go along. S: Extending that point forward, this is a quote from one of your interviews and I will read it out because it is very interesting. You say, “it has been my experience that the richest people were those who found something good and held onto it. The people who seem the least happy and the most frenzied and the least successful are those that are always chasing the next hot thing". Now in India many of us are frenzied and most of us are chasing the next hot thing. So could you please throw more colour? This is a very interesting statement and a very interesting point of view. How do you come up with it? T: I'll give you an example from my personal life. It might seem like it has nothing to do with investing at all but let me ask you this: how many people in this room are married? How many are unmarried? A lot of people are married. Now, think about how it is that you met your spouse and how that took place. Fortunately enough in my life, I happened to start dating the woman who I am now married to at age 15. And of course, in America, we don't have the arranged marriage tradition. When Warren Buffett was visiting India, he was seated next to someone and the story was that this woman who was sitting next to him was exchanging stories and she said to him, ‘Oh, you have a hormonal marriage’. And he says, you are damn right I did. So, I was lucky enough to meet a young girl at age 15 who I fell in love with. And the amazing thing is she actually liked me back. So, I thought that was spectacular. So I invested myself and my loyalty in her and I am still married to her 37 years later. That relationship has grown and blossomed and developed over a period of time. Why is that different than the way you can think about a business, the way you can think about investments. If you find partners, in life, in business, in anything -- everything you do is accomplished through other people. Even if you are completely a technologist and just sit in a laboratory, you are not alone. You are doing things in the context of other people. So, the same things are [applicable]. If you really are oriented and think that way, it will surprise you how pleasant the financial implications will be. S: That in turn leads us to Berkshire Hathaway. So, from what I have read, this was the first stock you bought at Markel? S: And you have never sold it? And what is fascinating about talking to you is given that you manage money for an insurance company -- for the rest of us who have heard about this magical float that Berkshire’s investing companies have. Can you give us a sense as to firstly your own investment thesis around buying Berkshire and staying invested for 28 years but also your understanding as the guy who looks after money for Markel as to what exactly is float and why is it so powerful? T: Let me try to unpack that and answer both the things. In the first part of your question you’re talking about the “magical float”. Let me assure you, and I [also] want to address the colleagues of Markel who are in the insurance business. There is nothing magic about float. That is distilled hard work. So, in essence when you are taking insurance risk, you are taking risk. [It is] one of the things people often get wrong. When they think about insurance as somebody handed you money today, right now -- you get money today and you make a promise to give them some payment later on in the future if something bad happens. And as Buffett himself has acknowledged, if you think about a con-man or somebody trying to scam people, it's the same thing. You are trying to get somebody to give you money today for a promise about what you are going to do tomorrow. So, how does a scam and an insurance policy differ? Well at the beginning they don't differ at all. In the fullness of time, then, you start to understand and see the difference between the two. And the ability to take some money today to internally deal with the temptation that if somebody is willing to hand you money what you would like to do is have them hand you more money. Now there is only a certain amount of money that you can take -- that you can accept that risk. You are knowledgeable enough to understand the parameters of what you might have to pay in the future and the uncertainty [associated with it]. And there is only a certain amount of money that your personal balance sheet and your capital position should constrain you from taking. But it's a huge human temptation to want to take more than that. T: Exactly. So, the work of figuring out that pricing and handling the claims and living with that discipline. That is a tremendous intellectual process, tremendous amount of work, tremendous amount of discipline. I just wanted to make sure we didn't have a false implication with the magic float. But if you do that right and Berkshire has done it right for many years, Markel has done it right for many years, there is a thin list insurance companies who have done it right for many years. Not a lot, but a thin layer of companies that have had that discipline. Then indeed, you do have that part of money, which you are holding and you are able to invest. In addition to the corpus of the money you have, all of the income from those investments accrue to you as the equity owner of the company. So, that's it in a nutshell and if you can get it. So that your insurance colleagues do indeed manage the float such that it has a negative cost associated with it, well if you have money handed to you that you are paying less than zero in interest and you are earning more than zero to some degree that is a positive spread and if you do that at a positive spread for long enough period of time, sheer pure mathematics suggest it hockey-sticks compounds to great sums. S: So just to paraphrase in another way, the skill of your underwriting colleagues gives you the float and then if you invest the float wisely, you further get the investment income on it, right? S: So, there are two sets of skill at work. T: And it is a reciprocating skill. And again, one of the things that I have culturally enjoyed about. The sensation of being in India is these ideas of more than one way that they are obsessed. The multiple paths, the composition of things that leave to more truthfulness rather than less without a single definition of truth. And done well, these things are reinforcing, and done poorly they collapse and fall apart. If you think about underwriting colleagues, one of those things that I said you needed to have is the capital base to accept the risk. So, with a small amount of money, if they accept good risk on that capital base, and they entrust me to manage that for them, and I do it well, what that does is it gives them more capital, more presence in the marketplace and more attractiveness as a potential bearer of that risk. S: It becomes a virtual spiral. T: Yes, a virtual cycle. S: Is it right to say that’s been the core driver of your own investment in Berkshire Hathaway for such a long period of time. T: Yes, that’s a single way of describing it and there are other layers involved, just like I have been learning and observing on this trip. S: What is fascinating about it, is this whole element of value creation is still relatively unknown in India. We have fine insurers in India but we haven’t yet found an insurer who can marry a supreme skill on underwriting with supreme skill on the investing side, but I am sure that sort of financial services firm will come along in the next decade or so. But let’s move on to another element which links into this, it was the 2015 interview with Jason Zweig and you said, “If you stumble on something that really compounds in value for decades, it can make all the difference. The things that you were right become more and more important as time goes by, while the things you were wrong about become less and less important.” Now, this in a way is the essence of Coffee Can Investing, but you have put it in a very interesting manner, could you again help us understand this a little bit more. T: Yes, there’s a couple of layers and a couple of ways in trying to illustrate that. I can remember, as a child growing, up like your show Coffee Can Investing, back in the 1970s there was a show on public television in the US called Wall Street Week with Louis Rukeyser. And it was on Friday nights, this was before I met my wife, so on Friday nights being a lonely nerd that I was, I am sitting there with my grandmother watching Wall Street Week with Louis Rukeyser, and we would talk about the stock market just like I talk to my father. My grandmother was interested as well and my grandmother was a fascinating woman, there are many stories about her, but she was a woman who, when my grandfather died, she did not like to make decisions. Sometimes people are like that. So, my grandfather was a small time businessman and he had 12 or 15 stocks that small time businessman would kind of have as a normal investment approach. And when he died, she lived in the same house for the rest of her life. His suits hung in the closet, his shoes were on the floor and those 12 or 15 stocks that she owned, she never sold them. She held him and she never traded at all. Among those 12 or 15 stocks she owned PepsiCo, Lockheed Martin and General Public Utilities, which was the utility company that served New Jersey in the area. And it really didn’t matter what other ones you owned because, those three were multi-decade compounding machines and they swapped the returns of everything else. So, if you actually did her numbers, I think she’d be in the 90th percent all of investors. That’s because she found something that were compelling ideas that had multi decade run. S: You saw this happening in your portfolio as you were growing up? T: As a 10-year-old it is hard to have that kind of perspective, but as an 11-year-old I appreciated it a little bit more than I did at 10, and it compounded from there. Just a story to tell you what sort of strange and twisted childhood I had. So, when I was 14, the tax laws in the United States were changed. That was the year when they created Individual Retirement Accounts, or IRAs as they are commonly known. I was doing a part-time job then, working for my father helping him out at a liquor store. One night, I made $700 and I took that money and put all of it into IRA because it was tax-free. So, I started IRA when I was 14-year old, I still have that account today and it would be surprising when that has compounded to over a period of time because it’s been close to 40 years. More than 40 years of that and putting money in it every year, the taxes are deferred, so it goes tax-free. But that’s the coffee can approach. S: So, Markel itself has compounded at high teens since initial public offering (IPO) in 1986 and as we were describing, there are various phases to the firm’s evolution – it has done insurance in different areas, it has tried its hand at the Lloyds Syndicate and so on and yet this company has been able give you this enormously steady compounding over the best part of 30 years. What’s been the driver of that steadiness, that ability to keep grinding away high teens returns in the context of US market, you know the time where the S&P 500 probably gave 6-8 percent. T: The base rate over that period of time was a little bit higher than that. So, we have had a bit of a tailwind to work with, but it would be impossible to describe fully and accurately all of the factors that went into things. So, creativity starting with say Markel, that’s embedded in the DNA of the company. So we recognise that the world spins, the world changes, new things happen, new ideas come into being, the world of technology, which is so much in our mind set these days, the world of data, the notion ‘data is the new oil’, and what all of that it means, the creativity of the new and the creativity of destruction and the change well you can’t know exactly what you are going to do but you know you need to be doing something and figure it out and that’s just in the DNA of the people of Markel — not just me, that’s just the organisation itself. So that’s really helpful in driving things. Then the aspect of integrity, again time to your first question of loyalty, integrity is when you give you word, your word is your bond and if you say you will do something then do it, and if you say that you can’t so something; I mean avoiding a situation, for instance where a lack of integrity will be called for, then don’t do it. T: Be firm, yes. Again in one of the meetings, Uday Kotak said he would rather say no today than say sorry tomorrow. So, that notion of being able to not do, is just as important as the doing. And it is the balance between the two, because if you overdo it either side, if you do too much without the appropriate room of caution you will drive the car into wall at some point. On the other hand, if you say no all the time you will never do anything. T: You will stagnate, you need to balance those two forces. S: Your own investing style has clearly worked over the best part of 30 years now, and as you explained a few minutes ago, there is link between Markel’s success and your investing style. Could you throw more colour on how as the firm has grown bigger and you have managed progressively larger sums of money, how you have continued to outperform the broader market? T: For me the path of investing started in the disciplines of accounting. And for so many of us, if you are CFA charter holder and you have gone through that exam process, they make you do equations and calculate. They don’t ask you to write poems to figure out how to be in investment. But you know what? Actually, there is a certain amount of equations and calculations that you should make. But if you really want to be a great investor over a long period time, then you probably ought to be able to write some poems too. There comes a point where there is a shift of qualitative understanding that comes from the firm grasp of the underlying quantitative data that’s underneath it. So really, my path from the very beginning has been to naturally gravitate towards the financial statement, towards the numbers, to calculate ratios, to understand those things, but then recognise what the numbers should do is tell a story. What’s the story? What do they mean and how did they come to be? What were the driving forces? What were the factors that made those numbers come into being? They are manifestations of somebody’s efforts and somebody’s plans and somebody’s strategy. So, as you understand that and you connect that, you begin to be able to move towards making some judgement. Imperfect, but some judgement nonetheless about the future and what is likely to happen given what I have been able to discern about the forces that have caused these things to happen. So that leap into the future is a leap from quantitative to qualitative to make guesstimates about what the future quantitative results are going to be. And that’s really what we are doing. S: Interesting. So if we try to look at the American context, the world’s largest economy, the world’s largest stock market, and someone who is watching the program and is a cynic about Coffee Can Investing will say “It’s all very well for people from the developed world to talk about trust in businesses and trust in high quality businesses, in Berkshire Hathway, but surely these sorts of notions don’t work in a developing country like India. We are what Francis Fukuyama would call a low-trust society.” The business models and the values by which you’ve lived your life and you have lived your career, do you think this format of investing and doing business will work in India as well? T: Yes, I do. And let me give you an example of why I would say that with such conviction. So, in today’s meeting that we had, just this day, conversation was going around to various topics and came to the political leadership of India and the changes that have taken place in recent years and the forces. Does this continue? Does this go backwards, sideways? The conversation was around those things. And in the context of that conversation, there was the observation that was made that at the same time in India, you have some of the most successful wealthiest people in the world and some of the poorest in the world. But those people who are very wealthy and very successful, in many cases, those are relatively new business. Those have been developed not overnight, but over the course of one generation. S: That’s right, in 10-20 years. T: Exactly. So, given all of the challenges and all of the things you’ve talked about, how is it that within this country, you have already seen people who were able to operate and build trust and great business franchises and wonderful businesses, despite all the headwinds. And now perhaps you are operating in a period where you might have tailwinds instead of headwinds, and the knowledge of everybody in the country, because of the access to smartphones, technology, understanding of what’s going on everywhere, not just what you can see in your physical location, it seems to me that those sorts of changes are irreversible. And the distinction between what any human being’s expectations would be of life, no matter where you are in the globe, they’re converging. S: So the values and behaviours are converging. S: Warren Buffett clearly has been a massive influence on your thinking and your style of investing. Who are the other gurus, influencers and books that have shown you the way forward in your career? T: Well for instance, the way Saurabh and I first connected was over our mutual respect for John Wooden who was a basketball coach at UCLA. So, I love reading history, I love reading things about people who were great business people, who were great military generals, who were great athletes who somehow made a positive mark on the world. So, Warren Buffett, my father, John Wooden, Charlie Munger, Howard Kirby from the Coffee Can Investing, John Templeton… and not just his investment results and ways of doing things but the values and the thought process he had and the notion of a positive force and positive changes that he was part of for his lifetime, those were all influences in people that I studied. S: I can see a number of young people in the audience here, there are plenty of people who watch this program who are youngsters who want to build a career in investing along the lines of what you have built and they will be trying to figure out should I do an MBA, CFA, CA or should I become a financial planner. For aspiring investors out there what would you suggest, in terms of reading and career planning, what is the best way for an inspiring investor in his early 20s to plan the next ten years of his or her career? T: It would be the immodest of me to suggest “what is the best way”, and it also would be incorrect because that answer is different for different people. So, we have a professor here with us who teaches students and uses disciplines of behavioural economics and finance to try to impart knowledge. I was speaking to a gentleman who runs a jewellery business earlier and his knowledge of his business and the buying and the selling and the way of treating customers and all of those sort of things that he has learned through that (Saurabh: Was very different), that would teach you something about investing if you can connect the dots and figure out. Since this is true in what I know, would that also perhaps be true in something that I don’t know as much about? Can you transfer knowledge? So whatever knowledge base you have, whatever you are starting with and try to be as skilled and as good at that as whatever you have and then figure out ways to transfer it. So, for instance my wife runs a business for us, she started out her life as a chemical engineer, but runs a business and runs a wonderful business. It is because she has learned the disciplines of engineering help you to do math, help you to understand cause and effect, help you to think of the system and the design and if you changed this variable it changes other things within the system and the design, well that’s true with people and businesses as well. So, there is no one path and it depends on where you find yourself and what you are good at and how much curiosity you bring about things you’d like to know more about and your skill at learning and absorbing them and compounding your own intellectual power as time goes by. S: Well thank you Tom, that was very useful. Thanks for sharing your insights with Coffee Can Investing. That’s it from us from New Delhi, thanks to the CFA Institute for giving us this opportunity to hear from Tom. We hope you enjoyed this version of Coffee Can Investing. Thank You.